Many simple bitters such as dandelion, burdock, yellow dock and red clover are considered blood purifiers or alteratives. These terms used by herbalists to describe remedies that appear to help the body flush out stagnant fluid, shrink swollen lymph nodes and clear up swampy, stagnant conditions. Blood purifiers have been traditionally recommended to clear up morbid conditions such as cysts, abscesses, acne and skin eruptive diseases like chicken pox and measles. They are also traditionally viewed as anti cancer remedies. How these herbs work isn't fully understood, but it appears that many of thern stimulate liver detoxification systems which help the body process toxic substances for elimination.They may also improve lymphatic flow, which drains the fluid from the tissues and clears up infection and cellular debris. All Cell Detox, EnviroDetox, Ayurvedic Skin Detox, BP-X and IN-X are all formulas that focus on bitter, blood purifying herbs. You can read more about some of these formulas below. Our blood constantly pumps through our bodies bringing nutrients which are vital for life and health. Unfortunately our blood can also carry damaging toxins which work against the body's functions. As just a small example, how many times have you awakened only to discover a new pimple on your face? When you were young it would have made the difference as to whether the day was good or bad. Now, your maturity won't allow a little zit to ruin the day, but the same maturity also makes you wonder why you are experiencing what is supposed to be a "teen" problem. Acne is one of the signs that the blood is carrying damaging toxins which are not being properly cleaned out by the liver. When the body notices that the liver isn't cleaning the blood, it seeks to get rid of the toxins another way. The toxins will often be released through the skin and will show up as pimples or other skin disorders such as age spots, eczema, jaundice, chicken-pox and measles. These skin problems are the body's alternate way of purifying the blood or ridding the blood of poisonous toxins. Skin disorders are not the only symptoms that come from toxic blood. Others are allergies, arthritis, body odor, bruises, cancer, cankers, parasites, and tumors. Each of these symptoms appear when the body begins complaining about toxic buildup in the blood. Toxins are found regularly in our food, air and life-styles. Food additives, water pollutants and poor nutrition all work to overwhelm the liver. With such circumstances it is not surprising when pimples give way to more severe diseases such as cancer. With herbs called blood purifiers and alteratives we can strengthen the liver and aid this organ in cleaning the blood or pushing the toxins out. Herbs that help to remove toxins from the blood are called "blood purifiers." Generally speaking, blood purifiers are bitter herbs which contain natural "soaps" called saponins. In fact, many blood purifiers in a tea or glycerine form will actually develop "suds" when shaken. Saponins break down damaged red blood cells so that the iron and nutrients they contain can be "recycled" into making fresh cells. They also increase the absorption of nutrients across the intestinal lining. You can think of saponins as "laundry detergent" for your blood. 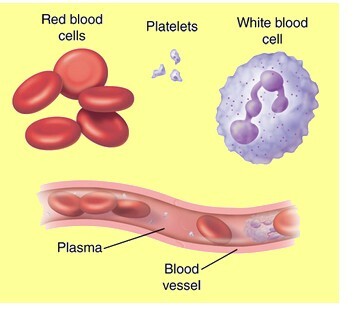 Many blood purifiers are also called alteratives. They get their name from the fact that they help to "alter" the blood chemistry. Alteratives and/or blood purifiers enhance the body's ability to eliminate toxins via the liver by enhancing the flow of bile (gall bladder). Often they also help eliminate toxins through the kidneys. They do not, however, produce a noticeable laxative action. Dr. Henry Bieler in "Food is Your Best Medicine" explains that the liver is an alkaline organ. He indicates it neutralizes poisons in the blood by alkalizing them and eliminating them through the bile. The bile is a bitter, highly alkaline substance which "emulsifies" (or makes water soluble) the fats we eat. Dish soap is also a bitter, alkaline substance which emulsifies the fats on our dishes so they can be washed away. The bitter components (such as saponins) in alteratives and blood purifiers aid the liver in "washing away" irritants in the blood. If you chose to take action with these herbs you must remember what they will be doing to your body pulling out the toxins. You might notice a darker or stronger urine. Your stool may be unusual. You may experience a temporary aggravation of the symptom you are looking to alleviate. You can consider these signs to be positive. As your body releases the toxins you will continually find an increase in energy and wellness, so don't give up! The role of "Systemic Enzymes"
"One of the most important functions of metabolic enzymes happens in your blood. If you think about it, it makes sense. We know that bacteria, fungi, and parasites are comprised of protein, as is the shell encompassing viruses. Enzymes in your blood—primarily proteases (proteolytic enzymes)—serve to break down protein-based foreign bodies, effectively cleansing your blood. This systemic use of enzymes is just now taking off in the United States. It is crucial that, in order for enzymes to be used systemically, they must be ingested on an empty stomach. Otherwise, your body will use them for digesting your food, instead of being absorbed into the blood and doing their work there." Dr. Mercola M.D. Burdock has rhubarb-like leaves. It strengthens the cleaning properties of the skin, lymph, gall bladder and kidneys. This herb relieves acne, toxic blood, allergies, arthritis, blood poisoning, boils, bruises, burns, cankers, chicken pox, eczema and hypoglycemia. Take one to two capsules up to three times daily. Red Clover has a bright pink flower that blooms from May to September. Clover boosts the natural elimination from the skin and it works as an anti spasmodic. It improves acne, boils, gout, mercury poisoning and muscle stiffness. Take two capsules two to three times daily. It is a tree that grows in the tropical rain forest. This herb builds up the liver, skin and spleen. As a sour tonic, it alleviates age spots, the side affects of antibiotics, arthritis, athlete's foot, blood poisoning, body odor, eczema, fungal infections and spinal meningitis. Take two to five capsules three times per day. It is a common lawn weed. It's bitter properties make it an excellent blood purifier and alterative. It aids the kidneys and liver in clearing toxins. Dandelion helps acne, age spots, arthritis, diabetes, eczema, gout, liver problems, toxic blood and yellow jaundice. Take 2 capsules 3 times per day. It is also called curly dock, has long, tall stems covered in tiny seeds. It aids the digestive system, liver, skin, lymph and spleen. Yellow dock corrects acne, cancer, chicken pox, cough, liver problems, sores and yellow jaundice. Take two capsules one to three times daily. It was used by the American Indians as a tea. The toothed oval leaves act upon the circulation, the immune system and the skin. It assists arthritis, burns, cough, mercury poisoning, rheumatism and skin disorders. Take one or two capsule two or three times daily. It is pressed from fresh plants, usually alfalfa. This herb cleans and builds the blood. The life of a plant, chlorophyll, supports the human digestive system and the circulatory system. It aids anemia, bleeding , body odor and weakness. Take one to three tablespoons three times daily. For loss of blood, drink up to a quart. It combines pau d'arco, red clover, yellow dock, burdock, sarsaparilla, dandelion, chaparral, cascara sagrada, buckthorn, peach bark, oregon grape, stillengia, prickly ash and yarrow. This combination is a cleanser for the skin, liver and immune system. Together these alteratives help acne, arthritis, constipation, cysts, fevers, hepatitis, skin disorders and lymph infections. Take two capsules with every meal. It contains lactobacillus sporogenes, a good digestive bacteria, pepsin, an enzyme that breaks up undigested proteins in the small intestines, fenugreek, marshmallow, milk thistle, dandelion, yellow dock, sarsaparilla, burdock, red clover, cascara sagrada, echinacea and ginger. Enviro Detox contains only blood purifiers which clear the body of yeasts, pollutants and harmful bacteria. These herbs treat boils, constipation, inflammation, liver problems, skin disorders and a weak immune system. I-X has the herbs red beet, yellow dock, chickweed, strawberry, burdock, nettle and mullein together to aid the liver, lymph and blood. I-X is full of absorbable minerals, such as iron, manganese and phosphorus, which strengthen the body. The iron in I-X comes from yellow dock and is easy to absorb. It increases assimilation of nutrients from the intestinal tract by breaking down weak red-blood cells. It treats anemia, constipation, skin problems, lymphatic infection and toxic blood. For best results use with I-X with Skeletal Strength. This formula mixes barberry, ginger, cramp bark, fennel, peppermint, wild yam and catnip to provide a combination which increases circulation, soothes inflamed tissues and muscle spasms and aids the liver and digestion. This formula relieves age spots, constipation, fever, jaundice, liver problems and skin problems. Red Clover contains red clover, burdock and spices. This herb is excellent for purifying the blood. It serves the immune system and the liver. Red clover blend is used for cancer, chemical poisoning, drug withdrawal, toxic blood and tumors. Steep two teaspoons in one pint of boiling water for twenty minutes. Drink one to two cups per day. E-tea blends burdock root, sheep sorrel herb, turkey rhubarb root and slippery elm bark to purify the blood, support the liver and immune system and generally detoxify. It aids cancer, poisoning, drug withdrawal, toxic blood and tumors. Steep two teaspoons in one pint of boiling water for twenty minutes. This combination contains the same herbs found in Chinese Blood Stimulator but in a highly concentrated blend. This combination of 18 Chinese herbs is designed to nutritionally support the blood, liver, glands and general circulation. The Chinese call this formula bu xue, which translates as "to nurture the blood." It is designed to strengthen a weakened wood constitution.